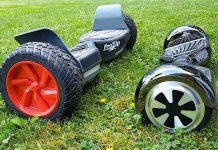 A few weeks ago I was asked to review the Swagtron Hands Free Hoverboard, and when I told my four nieces and nephews this news at a family dinner, they were beside themselves. I was instantly peppered with questions and granted “coolest auntie ever” status. They range in age from nine to thirteen and a hoverboard is at the top of each of their Christmas lists this year, and they are not alone. Hoverboards are continuing to increase in popularity, so are sure to be a big hit this holiday season. But not all hoverboards are the same. Here are a few things to keep in mind when choosing a hoverboard for yourself or your family. Contrary to what the name suggests, hoverboards do not actually hover, but allow you to roll around on two wheels. 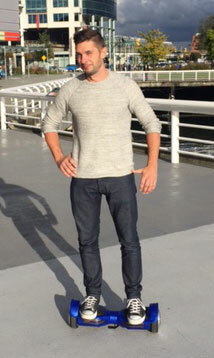 I know, it sounds lame, but a hoverboard is not just a fancy skateboard. I think Wikipedia describes it best: “a self-balancing scooter or self-balancing two-wheeled board, commonly referred to as a “hoverboard,” is a type of portable, rechargeable battery-powered scooter.” Unlike a skateboard, you face forward when riding a hoverboard and steer it with subtle movements of your feet, legs and torso. Think of it as a Segway without the handles. As I mentioned, I’ve had an opportunity to test one out, and while I initially found it terrifying, after a while I got the hang of it, and found myself scooting around with (relative) ease. Who will be riding the hoverboard? One thing to keep in mind is that hoverboards can go pretty darn fast! So if you’re buying for a small human, you may want to opt for one that is on the slower end of the hoverboard speed spectrum. 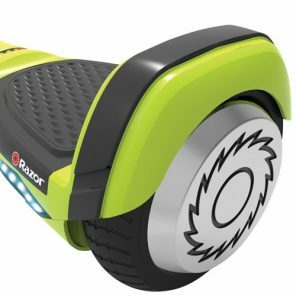 The Razor Hovertrax is one of the “slower” hoverboards out there with a maximum speed of 10km an hour, which I think is a better choice for kids. I’m not a parent myself, but I am pretty close with my aforementioned nieces and nephews and the older they get, I’m witnessing them get increasingly adventurous, and with that adventurous spirit has come a lot of injuries. By opting for a hoverboard with a slower maximum speed, you might mitigate the potential for injury somewhat. Conversely, if you’re buying a hoverboard for an older teenager or young adult, one with a faster maximum speed might be a better choice. The Swagtron T3 can go as fast as 12.8km an hour, which may not sound all that speedy, but when you are perched atop of it, trust me, you literally feel like you are flying and that death is imminent. I’m kidding, of course. I am just an exceptionally accident-prone individual, so when I was giving the Swagtron a whirl, I was convinced I would fall, lose my front teeth, and end up maimed in some capacity. What I’m trying to say is that 12.8km an hour is faster than you think it is when you are on a hoverboard! This is a personal opinion, but I think it is important to be able to hear your surroundings when you are riding a hoverboard, so you should avoid be plugged into headphones. 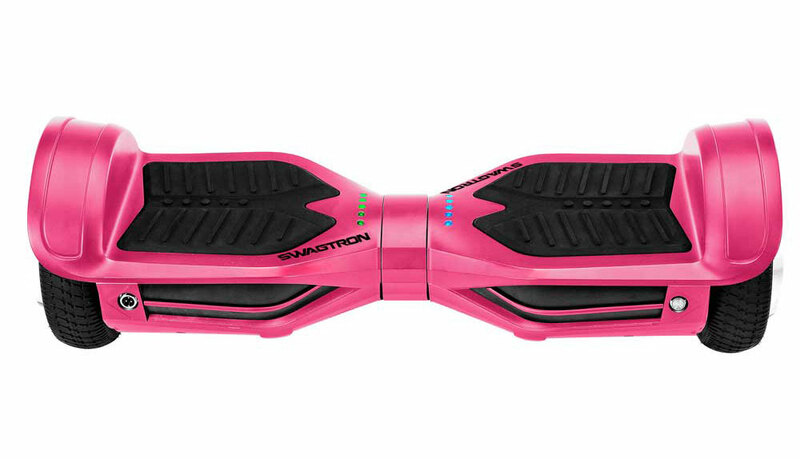 But if listening to music when riding is important to you, then opt for a hoverboard that is Bluetooth enabled, like the Swagtron T3. That way you can cruise around while music plays directly from the hoverboard itself–you’re tuned in without being tuned out of what’s happening around you. 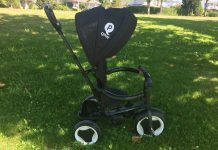 It’s worth noting that when I reviewed the Swagtron T3 and tested the Bluetooth functionality to play music, it drew a lot of attention to me, and because I hadn’t mastered riding the hoverboard yet, I was exceptionally embarrassed. So just be prepared to have people looking at you when you fly along down the street with Justin Bieber blaring from your mode of transportation. You’ve no doubt heard of hoverboards catching fire and/or exploding. First, based on my research, there is no report of a hoverboards actually exploding, but regardless, the tendency to ignite into flames isn’t a feature you want in any gadget, toy, or electronic device. That’s why it is exceptionally important that you choose a hoverboard with a battery that is UL 2272 certified. 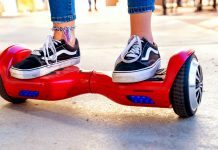 This new certification provides a strict framework under which self-balancing scooters–aka hoverboards–are evaluated, tested and ultimately given the seal of approval that they will not catch on fire. 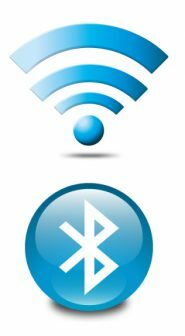 What brand should you choose? Let’s be honest, hoverboards are a little pricey, so you might be tempted to search on a third party website for one that is a little less expensive. However, in doing so, you might be doing yourself a disservice. When you are investing in a hoverboard, you should stick to the brands that have been proven to be reliable, like Swagtron and Razor. Both are available on Best Buy’s website, are UL 2272 certified, have a ton of positive reviews, and each have a “Learning Mode” so you can figure out how to ride them, because take it from me, there is definitely a learning curve! With “Learning Mode” you can learn how to balance and navigate without looking like a complete moron and then switch out of that mode when you’ve got it all figured out. I have to admit, there is part of me that wishes hoverboards these days were like the ones Marty McFly rode in Back to the Future II and actually levitated, but even though they don’t, they are still a ton of fun. If you are in the market for one, you can narrow your search on BestBuy.ca by searching based on price, charge time, speed, and additional features. Just make sure that when you buy one for yourself or your family that you have the appropriate safety gear available, because while people tend to make it look easy, it’s actually a little difficult to master. That said, I’m a 38-year-old accident-prone person, so a seven year old would probably make me eat my words. 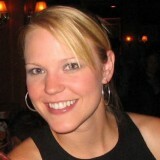 Stacey McGregor is a marketing and communications professional based in Vancouver, BC. She has a passion for the written word, loves learning about new technology and gadgets, and enjoys sharing what she learns through Best Buy's Plug In blog.